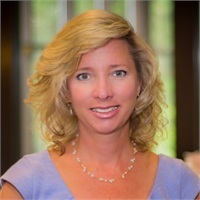 Nancy Andrefsky is the Chief Operating Officer and Chief Financial Officer of Stratos Wealth Partners, Ltd. and has been with Stratos since its inception. Nancy is a member of Stratos’ Executive Committee and as COO is responsible for overseeing the overall operations of the firm. In her role as CFO, she is responsible for leading all aspects of the company’s financial management. Nancy focuses on financial analysis and forecasting in order effectively maximize Stratos’ rate of growth. Nancy began her career with Ernst & Young in Philadelphia, Pennsylvania as an independent auditor. As a senior accountant at Ernst & Young, her clients included several Fortune 100 corporations. She then joined Bell Atlantic Corporation (now Verizon) where she was a controller for their non-regulated subsidiaries. Once Nancy left Bell Atlantic, she served as a treasurer for various non-profit organizations. Nancy earned a Bachelor of Arts degree with a major in accounting from Franklin & Marshall College where she received the Wall Street Journal Award in finance. She resides in Hudson, Ohio with her husband and their four children.